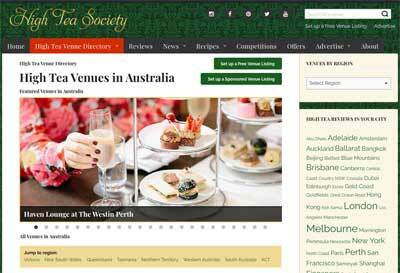 Want greater exposure in the High Tea Society Venue Directory? Analytics measured include the number of searches in the Venue Directory and views of the Sponsored Venue Listings. Total country, region and city search results are: 102,122 views. Total Sponsored Venue Listings received 24,956 views from 19,673 unique people. AUD $399 inc gst for 12 months. The charge is made in Australian dollars. International rate will depend on the exchange rate at the time of making the transaction. If you have an issue submitting your details or have a question please contact us via EMAIL. Set up a Sponsored Venue Listing by completing the details below. For best results, should be 760px by 360px. JPGS only and under 250K. Add up to 5 supporting JPG photos of your high tea. For best results images should be less than 1200px wide and under 250K each. For best results should be 400px wide. The landing page for your high tea menu on your website. So we can tag you in a the Facebook post. So we can tag you in a Tweet. So we can tag you in an Instagram post. Note that subscriptions automatically renew at the end of their period. All prices include GST.